Am I the only one who likes to wait until after Thanksgiving before going Christmas crazy?! I love the festiveness of Christmas just as next as much as the next person, but I also really love the cozy feeling that Thanksgiving gives me, and I like to wait until after Thanksgiving before say putting up my tree (like half my neighbors already have) and baking with peppermint, among other Christmas-y things that I think should wait until December 1st. I also like to wait until the last second before moving on to Christmas because I feel like I don’t really have an excuse to bake with apples anymore. Of course I could bake with apples in December and any month really, but I think most people would agree that apples really fit into the seasonal category of “Fall Baking” if we are going to get technical here and so I’m trying to squeeze in any last apple baking project I can. 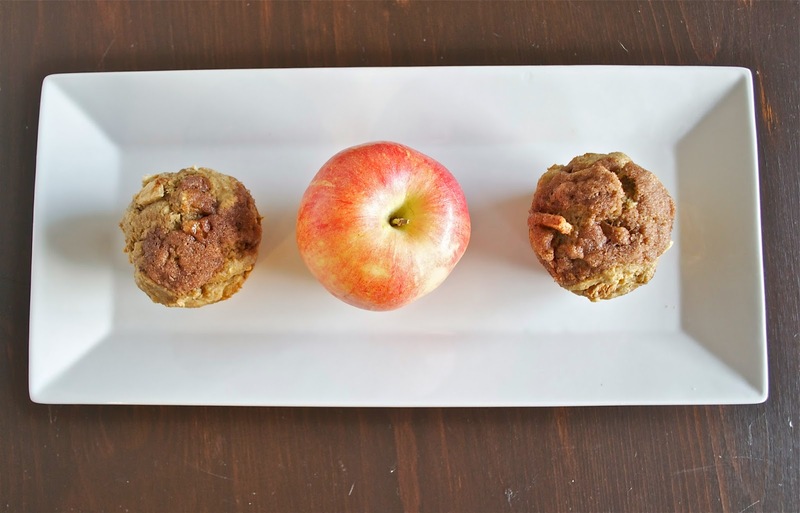 Alas, the Apple Muffin. I’ve tried many versions of these and recently came across this one, which is on the healthier side, since it uses coconut oil instead of butter and more whole wheat flour than regular flour. They were moist and full of apples and if you want to get really healthy, you could skip the cinnamon sugar topping, but don’t do it, because it is delicious. 1. Preheat oven to 350 degrees and line a 12 capacity muffin tin with liners or butter, coconut oil etc. 2. Microwave the coconut oil until it is liquified, and set aside. Microwave the milk for about 30 seconds to bring it to room temperature to prevent clumping when mixed with the coconut oil. 3. Add the vinegar to the milk and let it sit for a few minutes to make “buttermilk” or just use real buttermilk if you have it and skip this step. 4. In a large bowl, whisk together the coconut oil, “buttermilk”, brown sugar, egg and vanilla. Add the flours, baking powder, baking soda, salt, allspice, cinnamon, and nutmeg. Stir just until combined. Fold in the apples. 5. 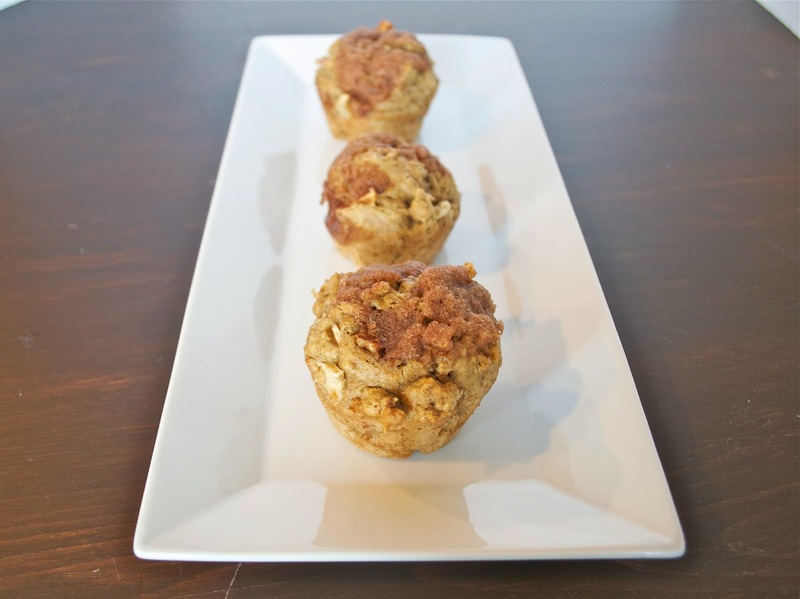 Divide evenly into the muffin tins and prepare the cinnamon sugar topping by combing in all three ingredients and spooning over the tops of each muffin. 6. Bake muffins for 15 minutes, until they are golden brown on top and the tops will spring back when gently pressed.